someone asked me the other day, "really? is it really as great as you make it sound?i could never do that! are you really happy?" for all of you who wonder, this is my response. you know what i want sometimes? to go to the mall and spend a ridiculous amount of money on a cute new pair of shoes. i want to sit on my kitchen counter chatting with my girlfriends and eat a whole carton of cookie dough ice cream. i want to watch grey's anatomy, or any tv for that matter. i want to cuddle with my sweet boyfriend. i want to hop in my cute car, go to the grocery store, and pick up any kind of produce i want. i want to wake up in a house with my loving family, not all by myself. i want to go to blockbuster and pick out a movie to watch with my little brother and his friends and i want to cook for them at midnight. i want to spend mindless hours with my best friends talking about boys and fashion and school and life. i want to go to the gym. i want my hair to look nice. i want to wear cut off jean shorts. i want to be a normal teenager living in america. i do. but. you know what i want more? ALL the time? i want to be spiritually and emotionally filled every day of my life. i want to be loved and cuddled by100 children and never go a day without laughing. i want to wake up to a rooster, my two africa dogs, and a splendid view of the nile river. i want to be challenged endlessly; i want to be learning and growing every minute. i want to be taught by those i teach. i want to share God's love with people who otherwise might not know it. i want to work so hard that i end every day filthy and too tired to move. i want to feel needed, important, used by the Lord. i want to make a differnce and i want to follow the calling that God has planted deep in my heart. i want to give my life away, to serve the Lord with each breath, each second. i want to be here. right here. I love this blog entry. Everyday I wish I could see you doing the things you mention in the first paragraph, but then I realize the positive impact you are having on the world. You are an inspiration, you are shining light, you are MY DAUGHTER, and I LOVE YOU SO VERY MUCH! keep trusting in His heart katie because He will continue to bring you joy and love for the people around you; wherever you may physically be. Hello Katie. My name is Melody Pahlow and I work in Uganda too. 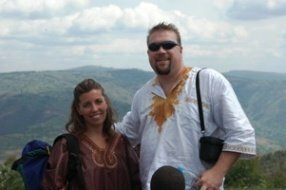 Myself, my husband Ben and my four kids travel to Uganda from April to September. I see a huge similarity between your blog and my own. Here is my link www.globalfamilyrescue.blogspot.com We started our own non-profit too. We are currently serving over 210 families there. I know how difficult life can be there. I understand the feelings of wishing you could have chocolate (or even electricity!) and orphans too. I am saying a prayer for you right now. I want you to know you are not alone. I am sending a big huge hug your way. God is with you... he loves you and he is proud of you. Maybe one day we could meet! You are so beautiful! A friend turned me onto your blog. I love it! My family of 5 spent 4 years in Honduras. We have been back 1 year and 5 months, but who's counting? I love hearing about your perspective and adventure. Thank you for sharing this - your heart. mom said...everyone is so generous with their contributions and my extremely heavy luggage is sitting in the hallway. I am ready for UGANDA and to see those beautiful children. I LOVE YOU THE MOST and this blog entry is my favorite. Two weeks from Sat and I will hug and kiss my daughter!! you make me tear up. you make me think about all of the things that i get in everyday life that you have voluntarily given up to help these kids. i dont think that i can ever express to you how much of a role model you have become for me...thanks. greetings from nicholas and family in kampala - shelley will have perhaps mentioned us being at the embassy - we'd love to meet you when we stay at the Haven, on the west bank of the Nile just outside Jinja, from 23-26dec! 0725-2210125! Continuing to read your story, from the beginning. I feel like I am sitting down with a good book, as I am on vacation with my family and can't take my eyes off your blog. So, with that in mind, I'm sure you will someday soon be able to get all this published, then have just another way to raise more money for orphans, because I would definitely buy a copy! 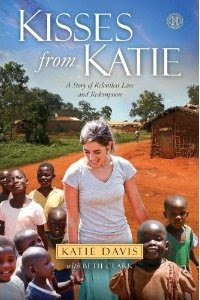 I LOVE your blog, and EVEN more your heart for Uganda, I am overwhelmed and seeking the Lord on how to help you. Prayer first, I am a missionary in New York City and the darkness is the same dank cloud of grey and black here and the light of Jesus is just as bright, so maybe it's not as different as it appears! You are beautiful i am stunned. I found your blog today and I've started skimming - old posts first. I am so touched. Touched by you and your outlook. Your heart. I desire what you desire - to be filled completely by God every day. Bless you for what you are doing and giving up for our Lord. Found your blog yesterday...and my heart is heavy today...I want to be where u r at, yet I have my family here. I just don't think they are ready for AFrica yet. 14yr, 3 1/2, and almost 2 year old..maybe someday. hummmh?! Me and my two best friends have been reading your blog for a long time. You have inspired us to follow God and truly count the cost. Sometimes here in America when I think about the life I know God has called me to I honestly get scared. Not of what might happen to me physically, but that I will get there and then miss all the good things here. But you have really encouraged me. You have reminded me that the only true joy and satisfaction is being in the center of His will. Thank you. wow! !i found about your story on Michael W. Smith's website. My goodness, am at work and am tearing up reading. you inspire me. May God bless you. My friend Christy introduced me to a saying - I'm not sure if she made it up - but it's one that I have only heard from her. "Live to give His love away." Your post sums up that statement. Katie, thank you! This post is one of the most honest and beautiful things I have ever, ever read! I'm reading your book on my kindle, we are going on our first mission trip to Guatemala in March, so excited to think of what God has in store for us there. I love how you acknowledge the things you miss but stress that what you have is more important - that you love your life even though you are sacrificing some comforts from your old life! MY FIRST COMMENT. I want to comment on every post, and go into deep detail of how this touches me. But for now I will only say this: You are an Overcomer, a lay down lover of Jesus. Somehow you have been covered in such humility that everything you need is met in every way. I am truly touched by your faith, your love for children and the support I have read from your parents in these comments. Wow. God has big plans for you and I can see them unfolding. I have four children at 39, I cannot imagine 14 at 21.....God Bless you and your beautiful heart. Katie, I just want to let you know how moving your words are and how thankful I am that you take the time & courage to post them for the world to see! I have been reading a book that quoted this specific blog post, and I was so captivated & moved that I had to find your blog to read more. I cannot stop reading. The Lord has used this post to launch me into a new season of ministry at my church, and I sense that this season will change everything for me. Thank you for being willing to do anything for The Lord, and for sharing your journey with me! I will pray for you and the people you are reaching in Africa through your obedience! This post seems to echo my thoughts, but I could not have said it better! I am leaving my home in Iowa in April to go help at an orphanage called Otina Waa in Lira, Uganda. I am so excited to go, but some of my friends do not seem to understand. Thanks for giving me a fantastic way to share with them exactly how I feel about going! I love how you worded this post! I could not have said this any better! I am leaving from my hometown in Iowa in April to go help out at an orphanage called Otina Waa in Lira, Uganda. I am so excited to go, but some of my friends do not seem to understand my joy. You have given me a fantastic way to share my thoughts with them! Thank you! I feel like you just reached into my heart and pulled out every feeling I have ever felt. I am blessed to have the husband of my prayers, and we have now abandoned our 'American Dream' lifestyle for him to go to seminary and for us together to pursue God's calling on our lives. There are no words that seem adequate to describe what I feel after stumbling upon your blog and starting reading from the beginning. I did some research and have seen how much you have done through Christ for the people in Uganda and I am deeply humbled. I am inspired. I am convicted. I know this comment is being written years after this post, but it spoke to me. Your obedience to sacrifice and your willingness to serve Christ and ALL his many children is inspiring and good reminder as I sit comfortably on my couch having a morning coffee in my warm home in North America, listening to my kids play downstairs. We have much in the way of material blessings and yet I can't help but think you have been so much more blessed in your experiences and through your sacrifice. Know that you have yet one more praying for you and your family as you work out God's will in Uganda!